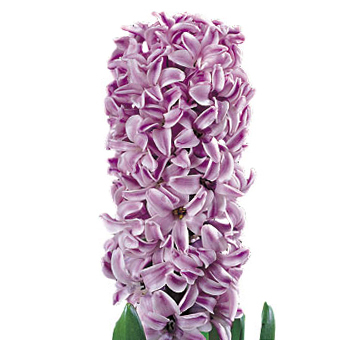 Hyacinth is a popular flower that is used for weddings due to their renowned star-shaped flowers and fragrant blossoms. Popular for bouquets are also used in table centerpieces and balance well with many other flowers and fillers. They come in various vibrant colors to provide you the flexibility needed to coordinate with the rest of your theme’s colors. Their high season is from March-June. However, we have year round availability in certain tones. If you are searching for a specific color during the off-season, please give us a call and we will assist you. It is highly recommended that you schedule your delivery 2-3 days prior to your event to allow sufficient time for blooms to open. 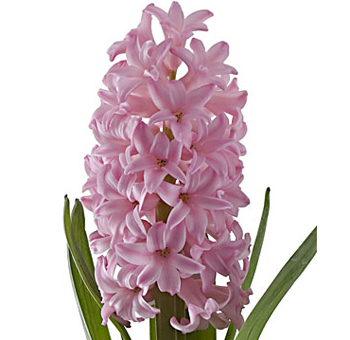 The enchanting Hyacinths flowers are available in rich colors. These flowers have an alluring aroma and bloom during the spring season. 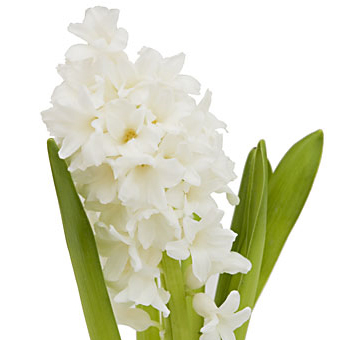 Just like the daffodils and early tulips, Hyacinath also bloom during mid-spring. These flowers are ravishing and whenever they are included in any décor, they add their charms with their variety of colors. 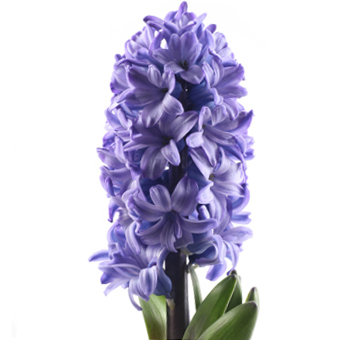 Just like the spring flowers are, Hyacinth is also a vibrant and beautiful bulb. One can enjoy the feel of the spring season by meagerly looking at these beauties. These star-shaped florets have been breeding into strong stems since the early years. Combining them with Pansies and Primroses will give you one of the fascinating floral arrangement ever witnessed in a wedding event. 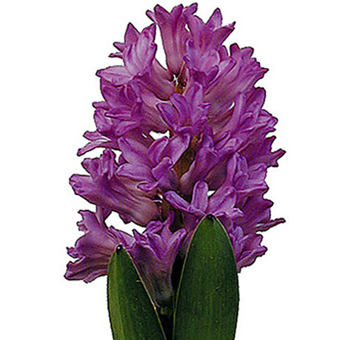 With a stunning range of colors and a collection of leaves, Hyacinth can brighten up almost any event or wedding. Find the perfect Hyacinth Flower for your wedding event. Use them as the highlighting flower or just as a filler flower, these Hyacinth will add color and texture to your decor. The flower has multiple blooms that are in a bunch at the top of the stem. These blooms are usually in the form of star-shaped and are small as well. The main characteristics of the flower are the narrow leaves that are long but foldable. Catching everyone’s attention, Hyacinths have an amazing aroma. 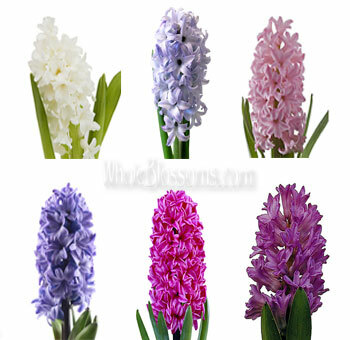 There is a large number of perennial flowers, almost 30 that belong to the genus Hyacinthus. The common name for them is Hyacinth. The plant is of the Mediterranean region and Africa. 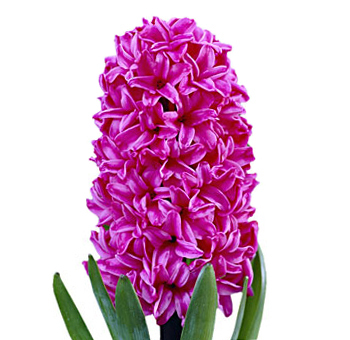 Be it your wedding anniversary or any special event, Hyacinth show your love for the other person. These flowers are lively and attractive to behold. 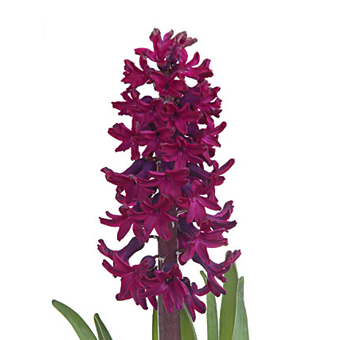 The red hyacinth blossom can easily be incorporated to any bouquet. The flower will definitely be a great addition to a bridal bouquet. These beautiful flowers cheer your mood up. So, if one is looking for a flower to be a part of your special moments that can’t be limited to words, well, then hyacinths are the flowers for you. These evergreen flowers have the charm to make any floral arrangement elegant and attractive. They look the best as a part of bridal bouquets, wedding, and even bridal corsages. Some necessary details of the flower which you should keep in mind while using them for your wedding event. The full heads on these classic hyacinths look good when forced in pots or bouquets. The Blue Hyacinth also knew as ‘the blue giant' is one of the largest singles which has sky blue flowers with dark blue veins. These fluffy whorls of colorful flowers are arranged on 10-12-inch stems. For this arrangement, Hollyhock is an outstanding variety that features dark pink blooms. Each bulb produces a number of flowers that stalks beautifully with loose arrangements of flowers. 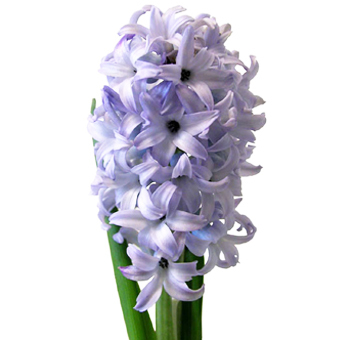 A beautiful addition to any wedding arrangements these hyacinths flowers are available in various varieties. The white hyacinth flower is also known as ‘City of Harlem’. The flowers of the Hyacinthus Orientalis, also known as common Hyacinthus develop completely and match the appearance of a little starfish. 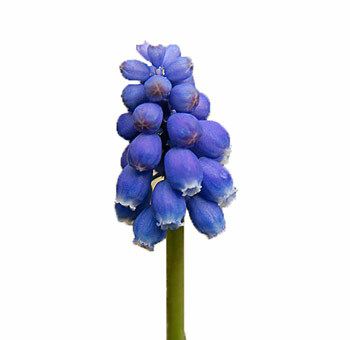 An entirely different species that might look like are the grape Hyacinth flowers. Purple hyacinth flower resembles a bunch of purple grapes as the flower bears blossoms that are tight and around one area. The only similarity that they possess is that they both of the flowers are the best during the spring season. 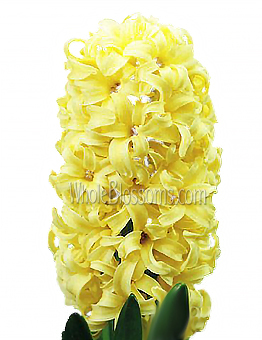 WholeBlossoms, is one of the best places to order hyacinths online. They offer their customer with a 100% customer satisfaction guarantee. They strive to make your experience of buying flowers online with them unforgettable and straightforward. Whether you are looking for same day flowers or next day flower delivery, they promise to deliver great quality. They provide customer service, and stunning fresh and pristine hand-picked flowers. They know that when you choose any flower for your wedding arrangement, it comes directly from the heart. And so, you wish for nothing but the best. Keeping this in mind they work hard to ensure your arrangements are created with the freshest flowers. They ensure on time deliveries to help celebrate every occasion with utmost fervor and joy. Order hyacinths online from them and receive flowers on sale to make your event fun of celebration and joy. They strive so hard to bring their customers the best quality and price. With Whole Blossoms, you can feel the ease of ordering the flowers online. You can choose the best wedding variety that can make your guests skip a heartbeat. Just choose and order wonderful fresh flowers for your wedding. They will reach you anywhere across the country in all its bright and sparkling form and gleaming packaging. So, if you wish for hassle-free timely delivery that too at affordable prices you should stop thinking and start shopping.